Smirking, our Prime Minister explained to the House how $9-billion is the same as $46-billion. But that's not how it works. A very long list of Federal and international policies, standards and guidelines require that military equipment be costed on a lifecycle basis. One could reasonably have expected that somewhere in all the yakkity-yak the federal government used to present the new $46-billion price tag for the F-35 would have been an apology. It was after all this same Conservative cast of characters that told Canadians before the last election that the planes would cost $15-billion when the Defense Department's internal estimate was that the planes would cost at least $10-billion more. That is to mislead. And the the Defense Department number they didn't share ($25-billion) was still shy of a more accurate estimate (about $46-billion) by more than $20 billion, we now know. That's just plain incompetence. But no...even after weeks away from the House of Commons, still no apology from the Conservatives. That's because, despite Minister of Public Works Rona Ambrose's insistence that the government has "hit the reset button and [is] taking the time to do a complete assessment of all available options," the Tories have no true intention of "resetting" this process. It seems more likely they hit the "repeat" button, though we'll never know for sure -- like all operations performed by this government, the button was hidden behind closed doors. But certainly, this procurement remains in a tailspin. The greatest tell is in their math. The government says $46-billion equals $25-billion equals $9-billion. And Defence Minister Peter MacKay says the KPMG independent audit validated the $9-billion number. That's just bizarre and doesn't accurately reflect what the KPMG Report does and says. The numbers were given to KPMG by the Department of National Defence. KPMG, as per its terms, was not to have an opinion of them. But it's not just the Defence Minister. Our Prime Minister is also a proponent of the new math. Smirking, he explained to the House how $9-billion is the same as $46-billion: "It is always possible to say that something will cost more if one keeps lengthening the time span in which one is doing the analysis." Well, no, that's not how it works. A very long list of Federal and international policies, standards and guidelines require that military equipment be costed on a lifecycle basis -- that is, from procurement to disposal. Costs don't continue to accrue beyond disposal. Of course, the Minister of Defence would want to deny this: "[I]t's the Treasury Board guidelines that we followed" he has said in his own defence. Well, no....again. So said the Auditor General (AG) in his Spring Report on the F-35. And, that was more by way of a reminder than anything else. In 2010 it was his predecessor, Sheila Fraser -- on another matter of military procurement -- who reprimanded National Defence for its failure to follow "Treasury Board Contracting Policy" (as well as their own "Project Approval Guide"). Then came the Parliamentary Budget Officer's (PBO) Report on the F-35: same message. If there was any doubt left, the KPMG Report advises, "A life cycle cost planning document did not exist." What the KPMG Report does validate is cause for discomfort. It tells us that there is no "substantive level of cost certainty" to the F-35 and that DND's model for assessing its cost "is not in accordance with leading practices." KPMG tells us the $46-billion dollar figure is a 50/50 proposition. The numbers, one can be sure, only go up from here. The big upside risks include, of course, the production schedule of the F-35. Full development of the plane -- including mission systems and stealth coating -- is not scheduled until 2019. More developmental delays, fiscal challenges in the U.S. and in other partner countries are likely to be the most immediate cause of further production delays. Perhaps the most problematic cost assumption embedded in the $46-billion number is the use of CF-18 costs for F-35 operating data. 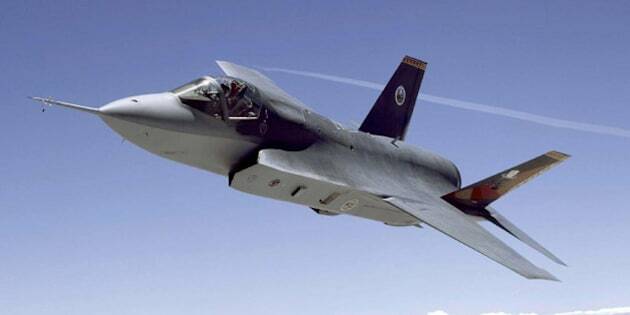 The US Department of Defence estimates F-35 costs to be, at present, 42% higher than the existing U.S, air fleet. Other costs remain hidden in the government's secret Statement of Requirements. The basis for others, still, remains mysterious. Why assume a 30 year life cycle in this Report when the Auditor General has already advised that National Defence is planning 36 years of flying time? Having been called out by the PBO, the AG and the official opposition, the government has delivered a report with overall cost estimates three times greater -- and lifecycle costs more than six times greater -- than any the government has acknowledged to date. And this, they tell us, is proof that they had it right all along. The one question they won't answer is, "Why not go to an open, transparent competition to replace the CF-18?" Yes, that really was the repeat button they hit, not the reset. Brace yourselves. We're still in a tailspin.